This is me. I have been away for a few days, and in a couple more I am going away again. I am brutally skipping most of your lovely posts. When I get back again at the end of next week, I will tune in again. This is where I have been. 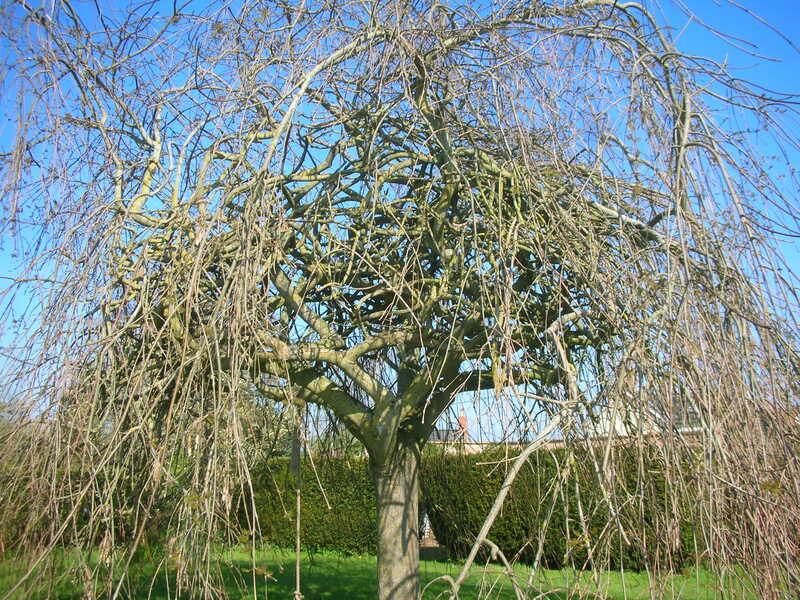 This is the tree that was planted when got married – a weeping Ash. This is a cactus we visited at Cannington Walled Gardens And some tulips back at home. 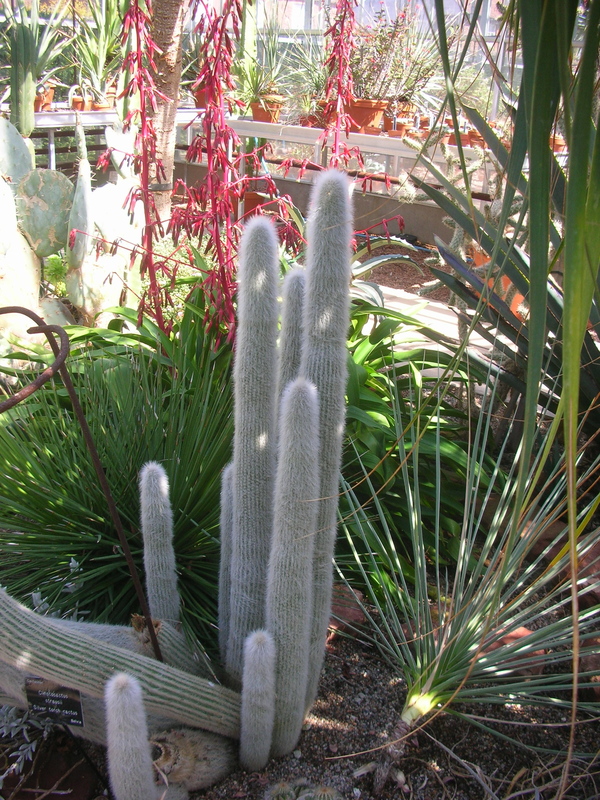 This entry was posted in Gardens, Uncategorized and tagged cactus, Cannington Walled Gardens, orange tulips, Weeping Ash by hilarycustancegreen. Bookmark the permalink. I think only bits of me are altogether here these days. Thanks, I am dreaming of it. A weeping ash? You started your married life in optimism. Mmm, it does seem an odd choice. It looks better in summer, but don’t we all. I’m sure you do, but equally sure I don’t. Are those forget-me-nots over there? When I had a garden I always combined orange tulips with some blue flower (often grape hyacinths) because that secondary-color combination is my favorite! Yes, forget-me-nots are the major weed in my garden, which is wonderful. I just leave them to fill in, also grape hyacinths. I too love the colour combination and have a whole bed devoted to it… though nature enjoys taking the mickey and spiking my best laid colour plans. This was a break we could not refuse – a Christmas present from our two daughters! 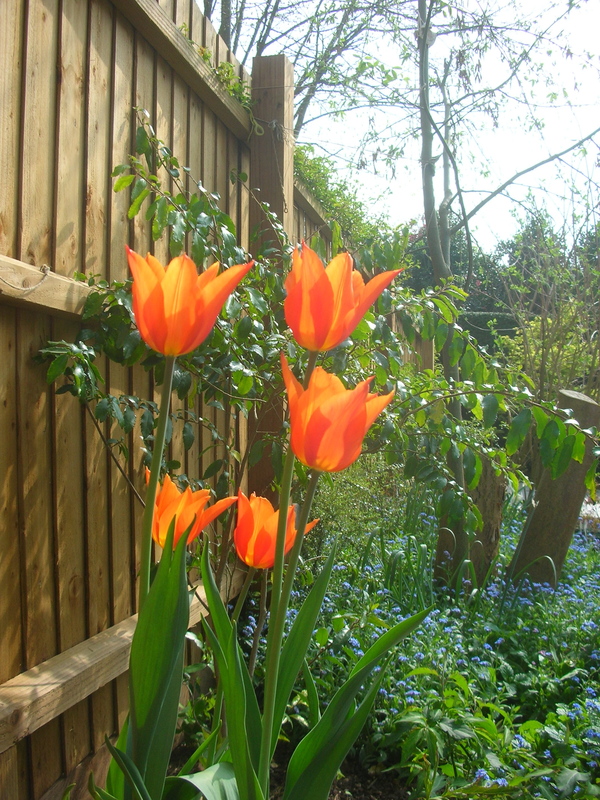 The weeping ash looks very sturdy and tulips are always nice. Enjoy the break. 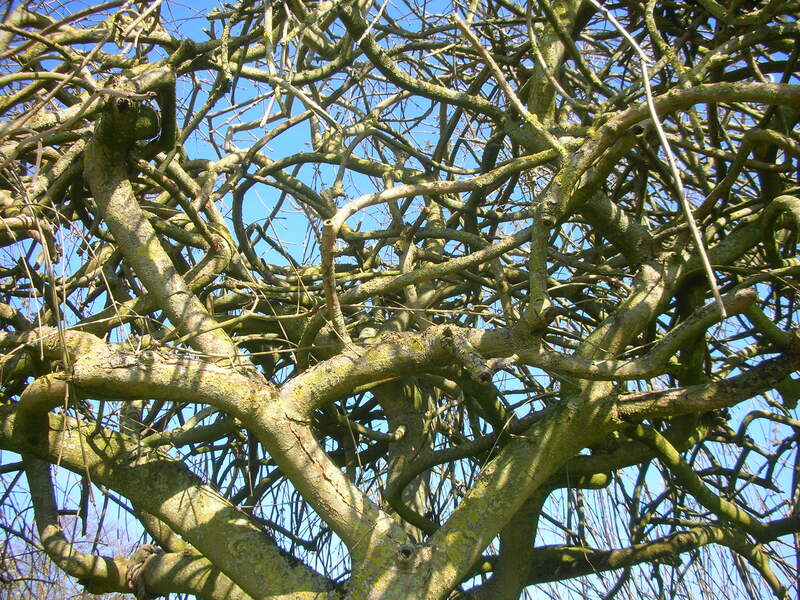 It has grown with amazing (and complex) vigour, but ash is under threat in this country from the die-back disease, so it may be in peril. 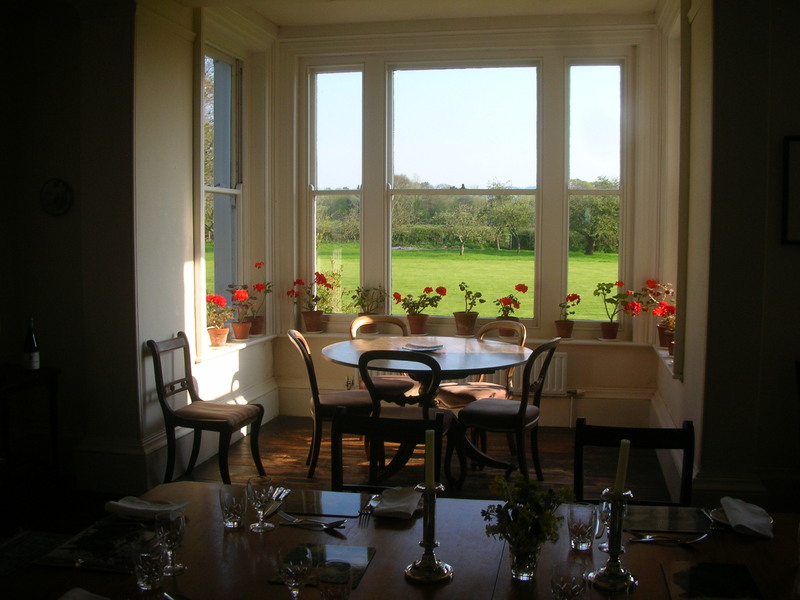 What a delightful dining room with the geraniums. The weeping ash is gorgeous. I’ve just been away too, and it is wonderful to come home and see things with fresh eyes. Hope you have fun! My sis-in-law has a way of maying rooms look beautiful. I am a little anxious for my garden while I am away twice in spring, but it will still be here when I return. I would happily be where you have been. I could sit in front of that view all day. Ah, this is my childhood home, it’s a lovely view. This looks so nice. I also enjoy your posts about the Far East POW’s. A friend of mine called Geoffey Adams was a POW and he wrote a book called No Time for Geishas about his experiences. Am now a loyal follower. All the best and enjoy your break. Kris. Thank you. I have ordered this book and will visit properly on my return. Thank you, have a wonderful, restful break.